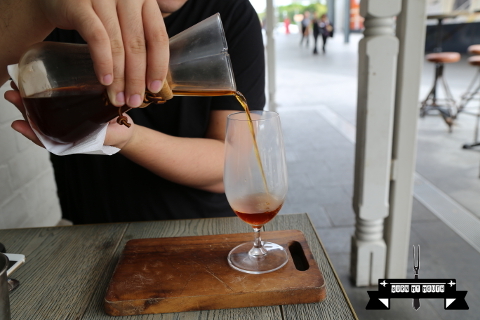 A cafe without coffee in Sydney? Welcome to The Rabbit Hole Organic Tea Bar! 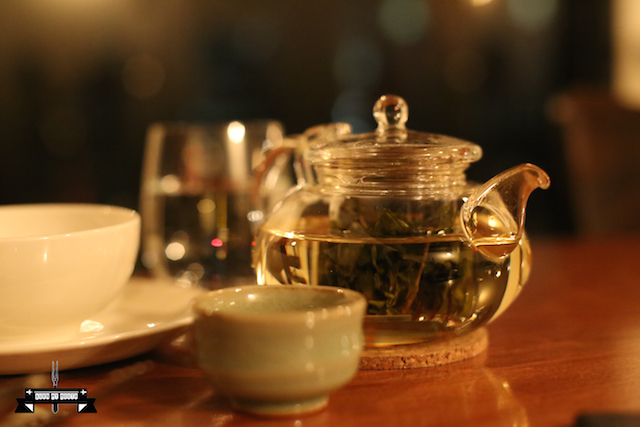 Recently opened in the inner city suburb of Redfern, this place is all about tea. 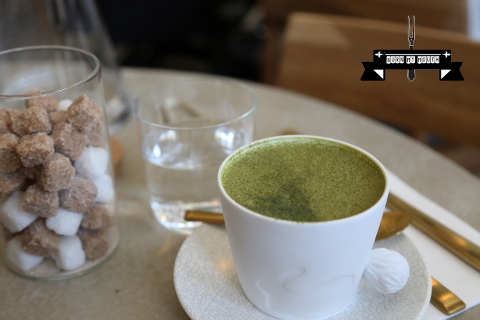 All the tea here are blended in-house, with the theme of tea evident from the sculpture in the middle of the cafe that is made from teabags, to the installation of beer taps to deliver sparkling tea, and even to the food items on the menu. 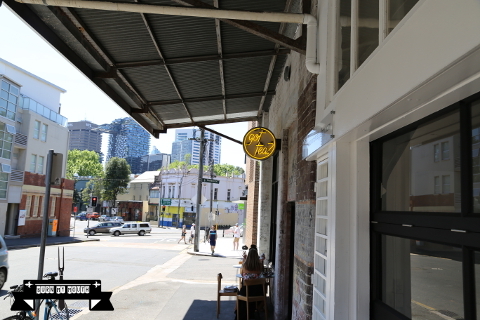 The cafe is a conversion from an old warehouse, with white-washed, exposed brick walls and splashes of gold in its fittings, which makes a very contemporary and artistic setting. 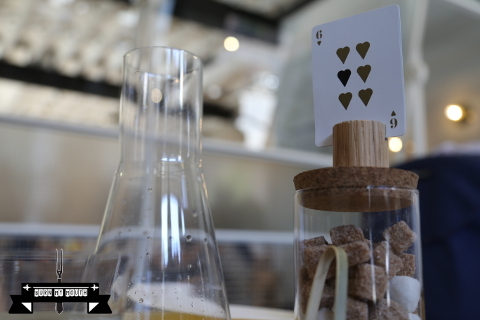 The artistic nature of this cafe is also reflected in the use of gold cutlery, a chemistry flask to serve sparkling water, as well as using playing cards as indicators for orders. The cups all have a small rabbit tail on the side, which ties in well with the name of this cafe. These are all very trendy and nice small touches. We came here on a weekend during lunch time and the place was packed. Food and drinks were ordered first from the counter, and a playing card was received which we have to place on our table to allow the wait staff to bring out the order for us. 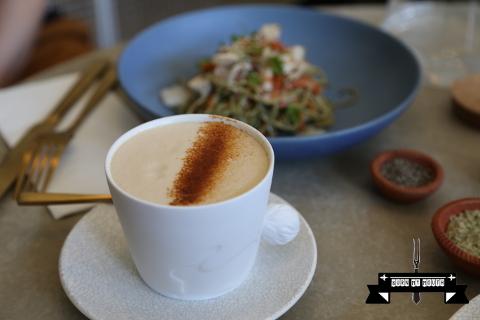 This was made with their signature chai. It was rich with subtle flavours from the spices, with a hint of honey providing an appropriate amount of sweetness. Unlike other places, cinnamon flavours did not dominate the tea, and we were able to taste the other subtle flavours from the spices used in the tea. This was a bitter-sweet experience, with the right amount of matcha to provide the right balance between bitterness and sweetness. This was a nice Asian-inspired salad, with nice sesame and ginger flavours throughout. The pickled carrot provided some vibrancy and freshness to the dish. 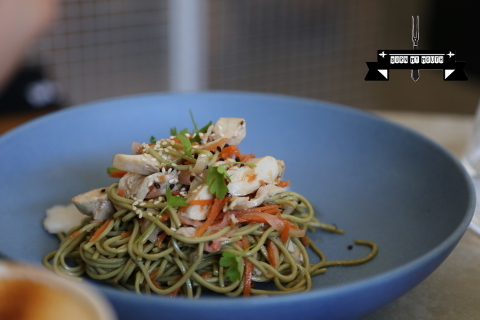 The soba noodles were cooked to perfection. 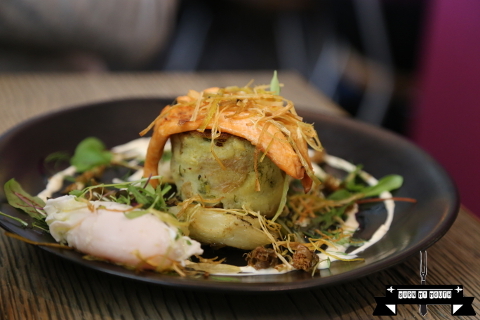 We would have preferred more ginger flavours in this dish to give the dish some more “kick”. The bun, with the use of mango jam, was sweet and soft. 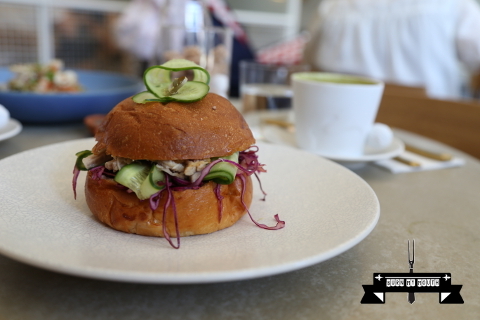 The cabbage and cucumber slaw was fresh and crunchy, while the steamed pork provided the backbone to counteract the sweetness from the bun. This dish was enjoyable, and although it was more on the sweet side, we felt that it was a healthy kind of sweetness due to their abundant use of slaw in the dish. Overall, this place works. 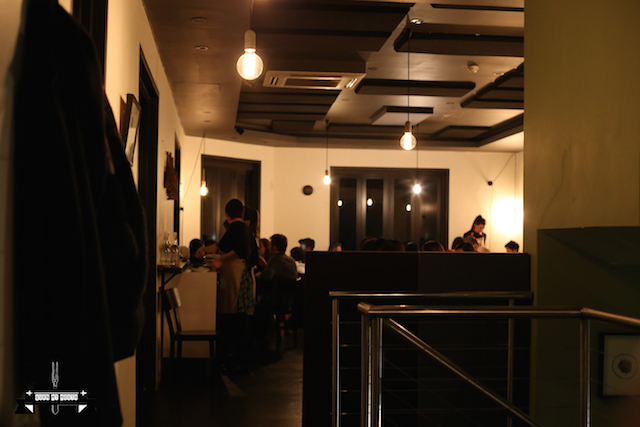 The setting, the drinks and the food are all of a reasonable standard. 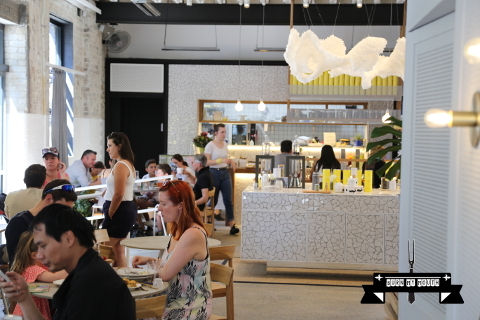 It is refreshing to see a different type of cafe being opened up in Sydney, and hopefully this place can help change the attitude of people towards tea in Sydney. 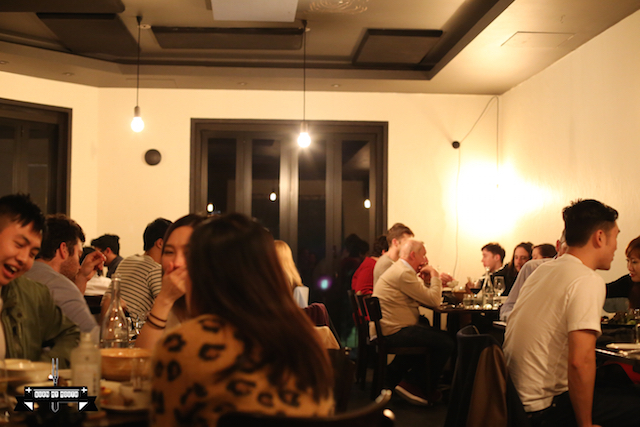 A modern Korean restaurant, Moon Park is situated on the first floor of a building in Redfern. This place is quite hard to find at night as there is only a small sign outside the building. Inside, the interior is very sleek and simple, not overly fancy, with wooden floorboards, white painted walls, standard wooden tables and chairs, basic shelves, and minimal decorations. 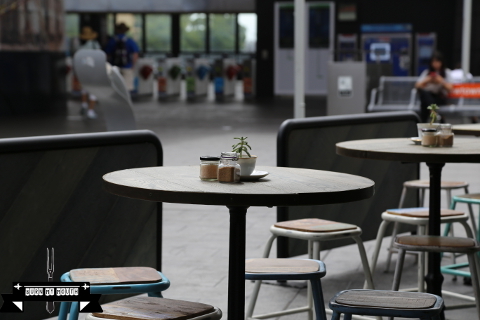 There is a small bar area, and also a large balcony overlooking Redfern Park. 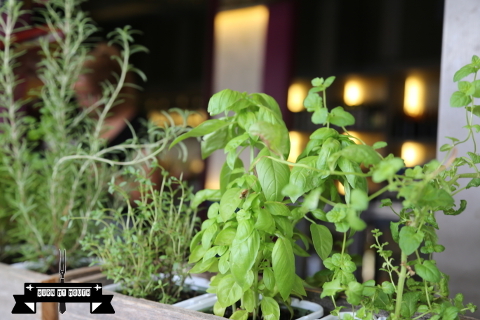 The place creates a casual atmosphere and relaxing vibe. 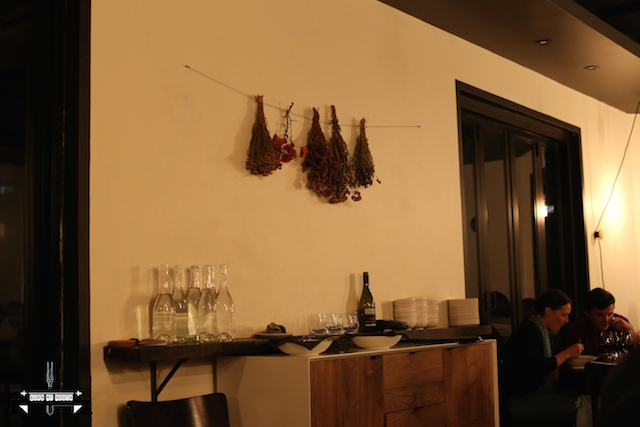 We arrived here on a weeknight, and the wait staff was very hospitable, with good friendly service. They were attentive to us, with the use of good facial expressions and body gesture, and the use of appropriate language. They displayed great knowledge in relation to the items on the menu. 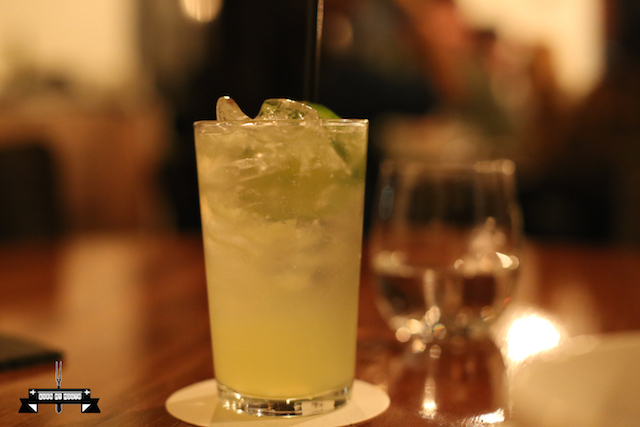 A delightful drink, which was not overly sweet, with the aroma of rose and a hint of cucumber. The drink had a mysterious element to it, as with each sip, we would not know which flavour would hit our palate first – the rose or the cucumber. However, these two elements were very complimentary to each other, making the drink very enjoyable. A classic oriental drink, with a bitter-sweet flavour, which was a perfect compliment to the dishes we had. These crisps were thin, crispy and had a hint of spicy flavour. They were a great start to our meal. This dish was fantastic. 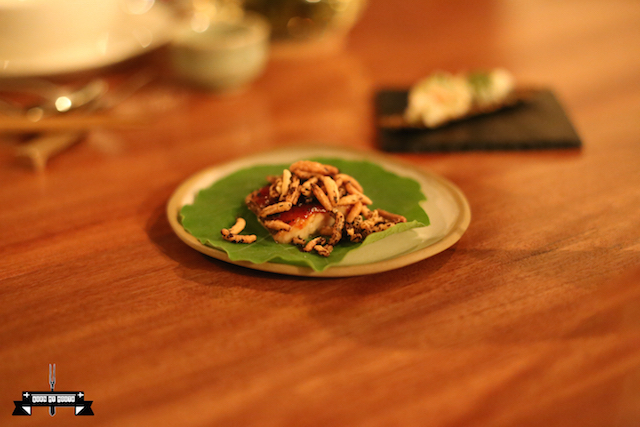 There was a contrast of flavours in this dish – the smokiness and saltiness of the eel contrasted well with the freshness and softness of the leaf, while the rice had a crunchy, smoky and a little spicy flavour. 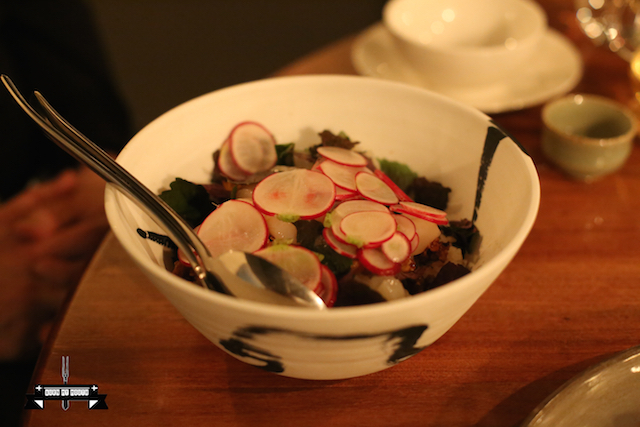 This was a very elegant and modern take of a traditional Korean dish. A very good dish. 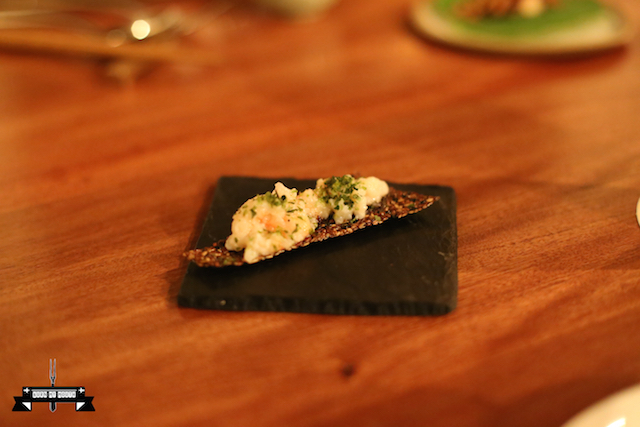 The fresh flavour of the crab was accentuated by the presence of the sesame and the garlic. All the flavours complemented each other well. Who would have imagined a humble bibimbap could be served in this way? This was akin to eating a whole bowl of the ocean, with the freshness of the scallop shining through. 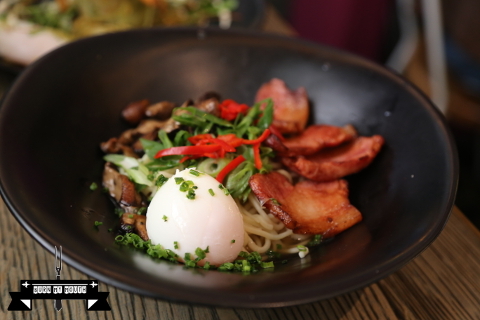 However, the dish also had other intricate flavours, such as the spiciness from the kimchi, the smokiness from the toasted barley and the sweetness from the peas. The contrast of textures, from the crunchiness of the toasted barley to the softness of the scallops, also really delighted our tastebuds. 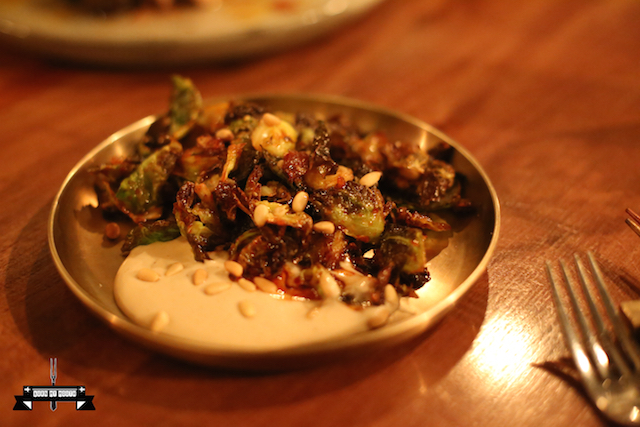 A wonderful dish that simply blew us away! The star of the dish was the pork belly which was soft, and melted in our mouths. It was well seasoned, so did not really need any sauce. There was a hint of doenjang flavouring in the pork, and a side of leaves for us to wrap the pork in. 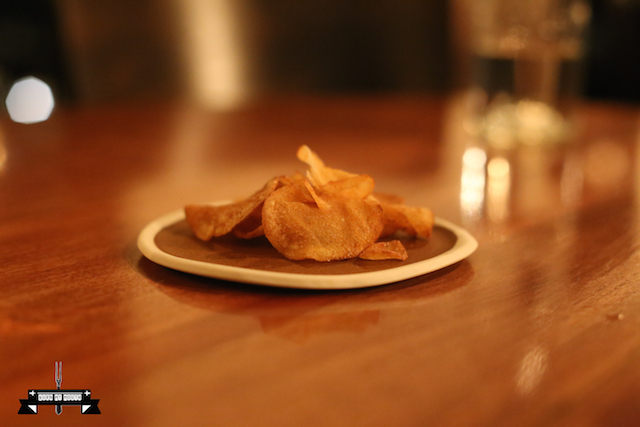 These elements demonstrated the traditional aspects of this dish. However, the reduction in the use of garlic and chilli for this dish and the use of artichoke in this dish, made this dish more subtle and refined than its traditional Korean counterpart. A very flavoursome dish. 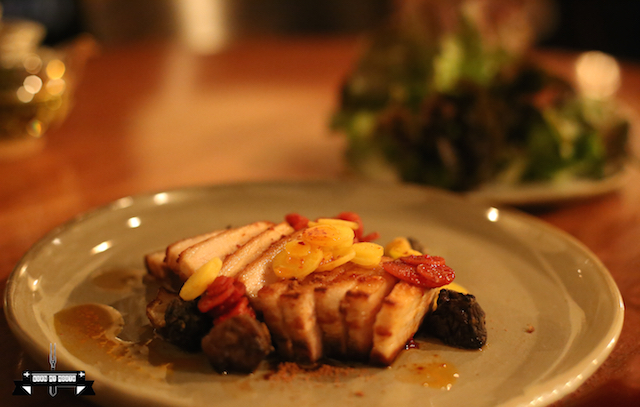 We recommend this dish be ordered with the Ssamgyeopsal as this complimented well with the pork belly. Eating the Ssamgyeopsal with this dish would give extra flavour to the pork belly. 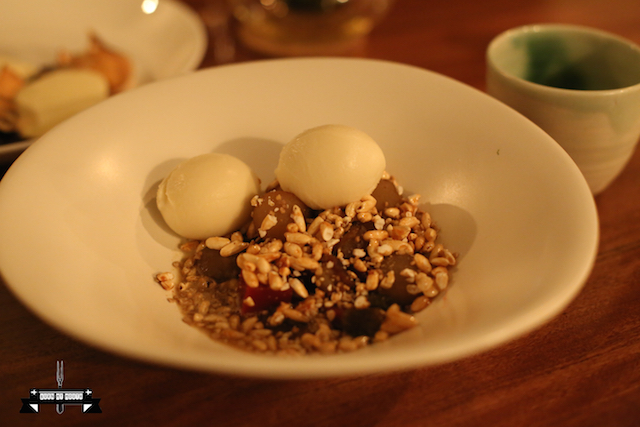 The dish was very tasty, and the use of the pinenuts was a unique addition, which enhanced the flavours of this dish. 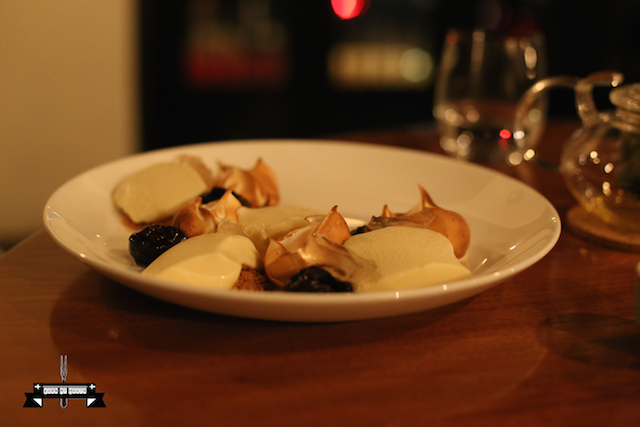 This was an elegantly deconstructed version of an American Moon Pie with a Korean twist – the sweetness from the soft, silky and milky white chocolate and the partially torched marshmallow meringue was balanced with the kick from the ginger and the sourness from the prunes. A sublime dessert! This dessert can simply be called “Rice Cream”. The lightness of this ice cream provided a good base for the flavours of the quince and orange to shine through, making this a nice dessert. 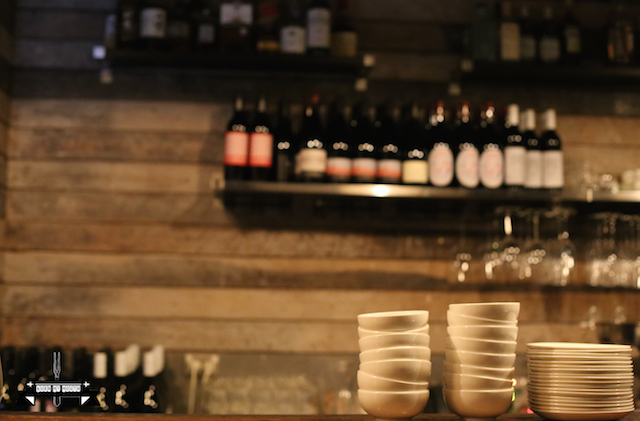 Moon Park is one of the best modern Korean restaurant we have tried in Sydney, and we would no doubt be back in a heartbeat! 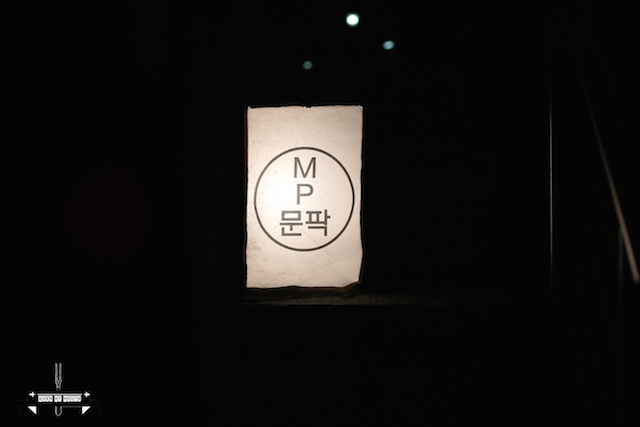 The modern twist on traditional Korean food is done extremely well and our dining experience here has been wonderful.